Pioneering entrepreneur and publisher John Harold Johnson received one of the U.S. Postal Service’s highest honors on Jan. 31 when he was commemorated with this year’s Black Heritage Forever Stamp. 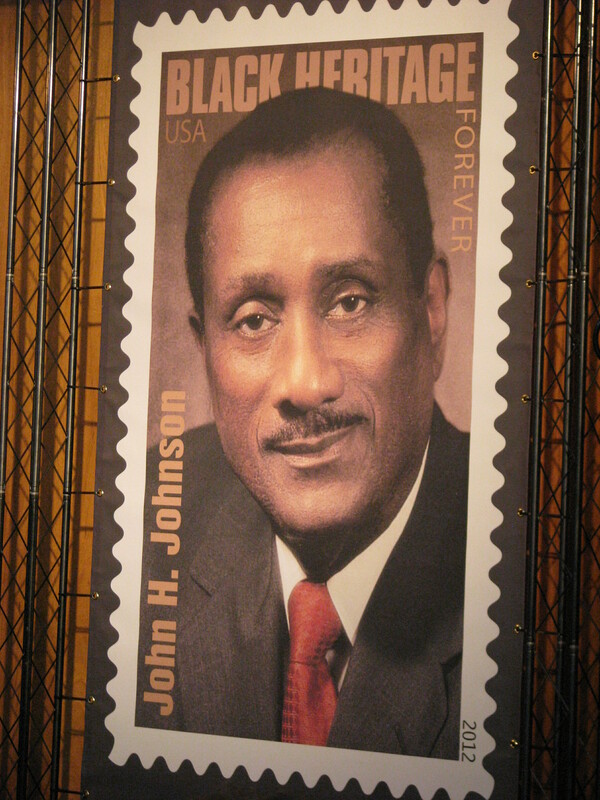 Johnson, the founder of the Johnson Publishing Company, which publishes Ebony and Jet magazine, now joins the 34 other honorees in the Postal Service’s Black Heritage Stamp series since 1978. Johnson was born on Jan. 19, 1918, and died of heart failure on Aug. 8, 2005, at the age of 87. Johnson made the decision to first publish the horrific details and photos of the open casket funeral of 14-year-old Emmett Louis Till, a Chicago youth who was murdered in Mississippi by two white racists for whistling at one of their wives in August 1955. You can see a video of Residents’ Journal’s coverage of the Johnson Publishing Company’s involvement in the memorial service on the 54th anniversary of Till’s death at: http://youtu.be/7CBfolmW1bM. 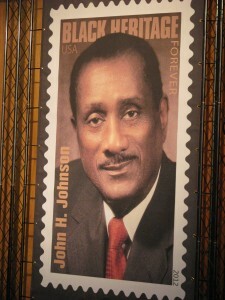 The Johnson “Forever Stamp” was designed by art director Howard E. Paine and is equal in value to the current First Class stamp, 45 cents each or $9 a sheet.